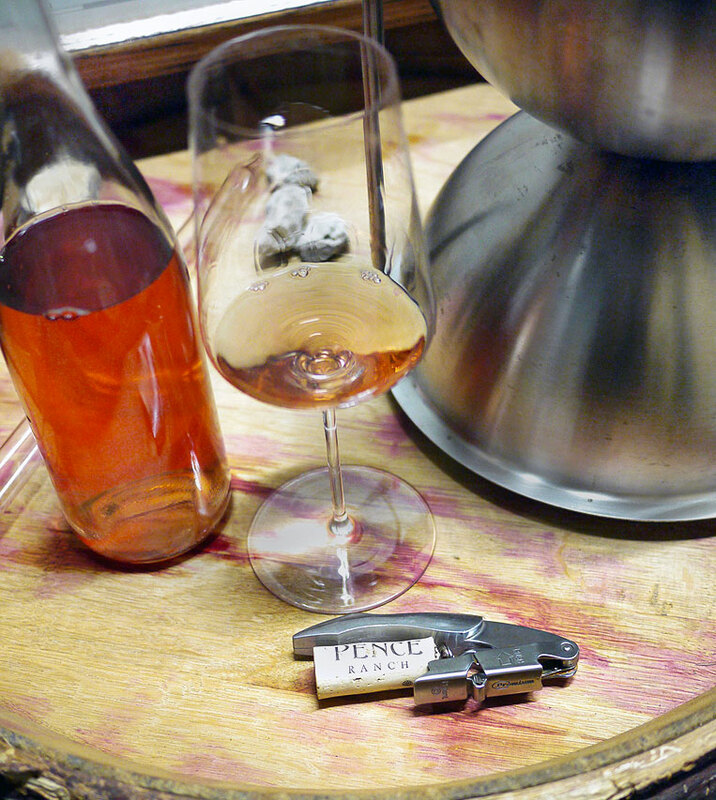 We are very excited about the release of our first rosé, Pence Ranch Rosé! This is not only the first rosé produced at Pence Ranch but it is also the first wine made completely by Sashi Moorman. Made from Pinot Noir and fermented in stainless steel, the wine has a beautiful pink, salmon color. Aromatically there are nuances of white blossoms and red berry fruit. On the palate, there is surprising weight given the delicate aromatics – a perfect salad wine, picnic wine and summer sipper. Only 43 cases were made and we are thrilled with Irene’s recent commentary on this wine. We will be pouring this wine at our Open House along with several other wines on April 12 & 13 in celebration of Santa Barbara Vintners Spring Weekend. Plan on stopping by and we’ll feed you a tri-tip sandwich too!